With extensive knowhow in this domain, we are indulged in providing a supreme equality gamut of Cotton Ball. We have 100 tonns of 100 % combed cotton sliver (40 count). Interested buyer please contact or give your reasonable quotes asap. - Weight per 100 balls : 100/ 50/ 40 gms or as required by the customer. 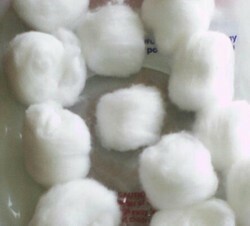 Cotton balls of various weights and sizes are produced from in-house slivers. kangaroo Cotton Skeins are a highly mercerized, twisted, non-divisible lustrous cotton thread. Perfect for embroidery, needlepoint, pulled thread, hardanger, counted thread, cross-stitch, openwork, huck weaving, smocking, tatting, blackwork, applique and quilting. 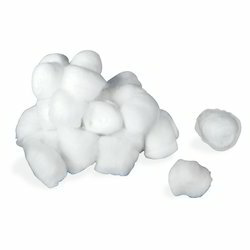 We have emerged as a leading firm offering finest quality Cotton Balls. Available in Pure White and Mixed Colours. 3) For Beauty Services Like Manicure / Pedicure.